Tests carried out on Monday on the player Sergi Roberto confirm that he has a pulled groin muscle in his left leg and that he will be out of action for around 10 days. 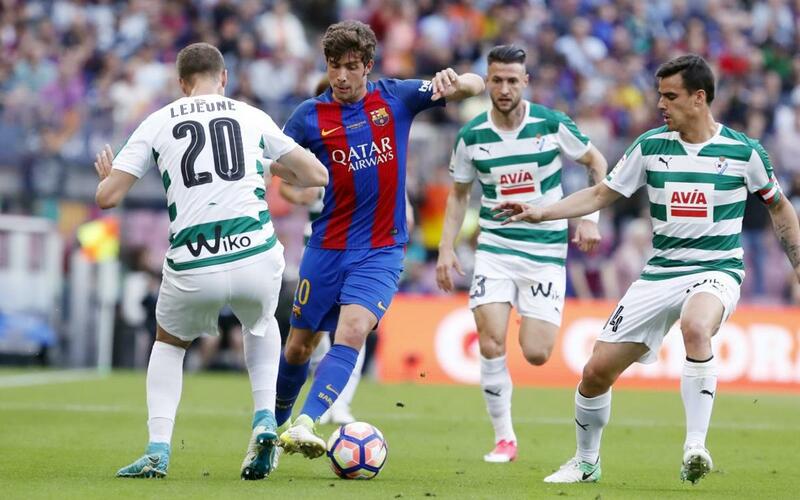 The Barça right back had to be replaced at half time in the game against Eibar by André Gomes. The man from Reus in the south of Catalonia was already set to miss the final of the Copa del Rey due to suspension. As such, on Sunday against Eibar he played his final 45 minutes of the season. Sergi Roberto has been an important member of the squad this season, playing a total of 47 games in all competitions and he was the hero of the remarkable comeback against PSG in the Champions after scoring the final all important goal in the 6-1 win at Camp Nou.